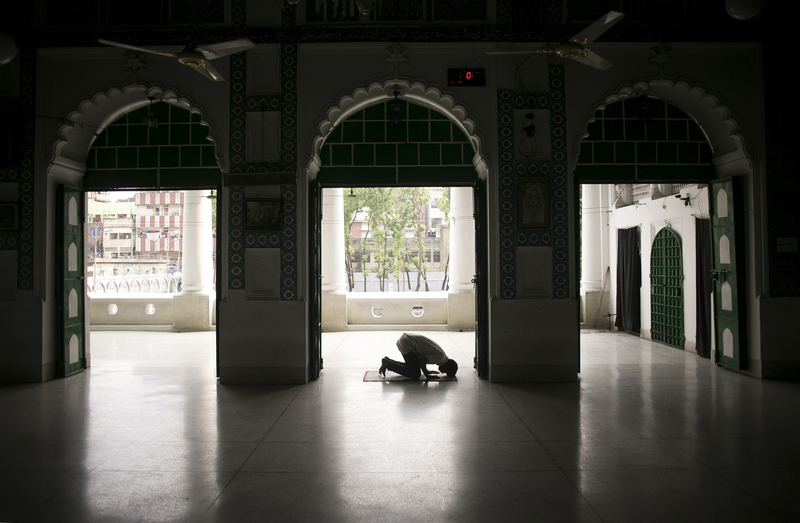 A man worships at the Hussaini Dalan Shia shrine in Dhaka, Bangladesh. On October 24th 2015 three bombs were thrown at the Hussaini Dalan Shia shrine during a large gathering, killing one and injuring over 100 more. ISIS claimed responsibility for the attack.